Below is a list of curators and art organisations. To read more about the curator or organisation just click on relevant "more details" button. 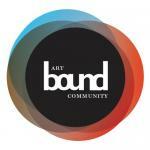 ARTbound Community is a membership based art agency. Creating participatory arts events and annual opportunities for visual artists and fine art photographers. We provide established artists with events to present their work to wider audiences, whilst also giving up-and-coming amateur artists the opportunity to enter the art world. 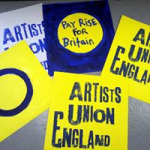 Art4u is an artist led organisation based in Colchester, Essex. We aim to support emerging artists by providing them with space to explore and develop their practice through our online residencies, as well as a place to share their work on our social media platforms and our upcoming exhibition. Artizan Gallery benefits from three beautiful display spaces which are available to hire for solo shows and group exhibitions. 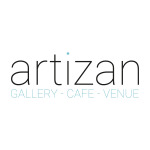 The Main Gallery has been running since 2014 when Artizan first opened its doors and has played host to nearly 100 artists to date. Its signature blue floorboards make it a soft and welcoming space, and large front windows flood it with natural light whilst offering a valuable shop front display area. With around 17.5m of wall space, this is the perfect venue to host a retrospective, display an expansive series, or house a small group show. Bald Moon Magazine is an online Canadian biannual arts and literature magazine based out of Fredericton, NB/Montreal, Quebec. Bald Moon’s mission is to give young writers and marginalized creatives a platform to publish. Bald Moon strives to increase accessibility to the work by remaining online by donation. Please visit our website to view back issues before submitting. View our Instagram for peeks and promos of the RED ISSUE. Rebecca Wild is an artist and Curator with a MA Degree in Contemporary Curation and an extensive background in arts and heritage. 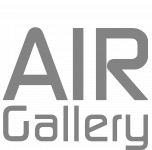 Currently the Director of AIR Gallery based in Trafford, and a Director of A4 Studios CIC, she has extensive knowledge of the contemporary art world. Fish Factory Art Space was founded by Rose Hatcher in 2011, and this year celebrates 8 years of promoting, creating and staging arts projects both in the original venue on Falmouth Wharves, and the new venue in Penryn, Cornwall. I am an artist and recent curator. My research and practical work are beginning to focus on the formation and expression of personal, religious and cultural identities. I have begun to exhibit and comment on the work that I generate in the form of blogs and publications. 'Focus on Identity' is my first curatorial project, which I am hoping to link to my academic work and grant applications, if successful. Ask anyone who has visited and they’ll tell you, Artwalk is Wakefield’s best kept secret. For the past eleven years, venues across Wakefield City Centre have been opening their doors for Artwalk, a bi-monthly evening of visual arts, crafts, workshops, live music, and performances. Artwalk showcases a wide range of artists and venues across the city, with a well-established and varied audience. As an independent curator I pride myself in collaborating with artists working in a variety of disciplines - including music, performance and film. I choose to exhibit artworks in both conventional and unconventional spaces to challenge audience perception to how we value, view and participate with works of art. I am a visual art curator with the versatility to be able to manage and deliver ambitious exhibition/events in galleries and other unconventional spaces. As Visual Arts Curator for the Landmark Arts Centre I curate, and deliver, the Spring Art Fair, the Autumn Art Fair, and the annual Contemporary Textiles Fair. The Landmark also hosts exhibitions at various times throughout the year. The Arts Development Team runs a funding scheme and a programme of cultural events throughout the year. PROMOTE partnership working within the arts and cultural sector. Left Bank Leeds is a multidisciplinary arts venue set an amazing Grade II* listed former church building. Our mission is to preserve our amazing venue in order to inspire and empower our community via a sustainable programme of arts and events that promotes creativity, connection and wellbeing. Lou Gilmore-George is a Mixed Media artist, Silversmith, Tutor and Curator. Experienced in Curating within retail, gallery space and pop up temporary spaces. Working with national and international artists using mediums such as sound, moving image, 2d and 3d. 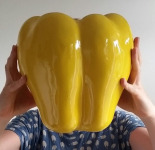 Successfully exhibited herself, both nationally and internationally, Lou offers her experience within universities as a visiting lecturer and holds creative workshops. Lumen first launched at The Crypt Gallery in Saint Pancras on the Winter Solstice in December 2014. SXRVXVE is an interdisciplinary curatorial platform presenting artworks and projects engaging with social, political, and cultural systems of power. Learn more about our projects and causes at sxrvxve.com. We offer a range of commissioning opportunities for artists to work with communities in our area in south and west Durham. 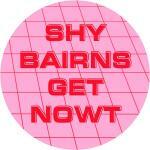 Georgia Gibson is an artist and curator from the North East of England, currently editing and curating for Shy Bairns projects. Sid and Jim are a London based collaboration who work in a variety of mediums including but not exclusive to performance, installation, and moving image. Issues of value, presence and authorship <interior and exterior to the art world> form the subject of their work. They also curate exhibitions, organise things and are the founders of The SketchUp Residency, Dollspace Gallery and the podcast Artists and Friends. 'The Artist’s Pool was established 3 years ago with the intention of embracing the power of art to bring people together and support their creativity. The team believe in art’s ability to heal and communicate across social and cultural boundaries, they use their exhibitions and workshops to promote creativity and well-being in communities, encouraging other organisations and charities to bring art into their environment. 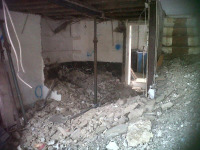 The Flying Dutchman is an a event space based in Camberwell, London hosting a wide array of events. At The Flying Dutchman we’ve always been strong supporters of the arts. One of our missions is to provide new and emerging artists a free platform to share and promote their work. The Tetley is a centre for contemporary art and learning in a landmark heritage building. 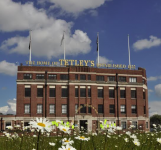 Centred around creativity, innovation and experimentation, The Tetley is a place for the development of artistic talent. Working with a spectrum of early career and established artists based in the UK and internationally, we commission new work and produce a rotating public programme of contemporary art. Our innovative participation programmes and curatorial projects aim to opens the minds of individuals of all ages. Warrington Contemporary Arts Festival (WCAF) is a cross art form festival with a growing reputation for featuring exciting art forms across disciplines including large-scale performance, live art, exhibitions and digital installations. York Open Studios is York’s largest non-profit arts festival. Our selected artists open their workshops, studios and homes over two weekends every year - its a great opportunity to meet them and really see how they work. We pride ourselves on our selection and feedback process and our collaborative approach with artists. Our work supports students, newly emerging and established artists and encourages a wider interest in the arts in York. SHANGRI-LA is Glastonbury Festivals most iconic late night area. Found tucked away in the farthest corner from the main stages, it has both inspired and challenged its vast and devoted audiences for the past decade. Through provocative art installations, underground music programming, spectacular set design and groundbreaking live art and performance, Shangri-La continues to push the boundaries of what a festival looks and feels like. Curator profiles are available with paid subscriptions. These subscriptions start from as little as £5 per month, and give a host of additional functionality, including your own personalised curator profile.